Click on the "Participants" link for the full speaker’s list and downloadable Abstracts. I will also be presenting new findings at this Conference, on water structure-spectroscopy as influenced by the authentic Wilhelm Reich orgone accumulator (and not to be confused with the "orgonite" junk-trinkets and pyramids sold on ebay or other websites). The Conference will also be live-streamed on internet, with YouTube videos of the lectures available later on. Also every presenter provides their PowerPoint slide-set. So everyone will ultimately have a chance to see the presentations. Being there allows for private discussions with the various scientists and researchers. Also the Water Journal, published by this group, is available without charge via their separate website. 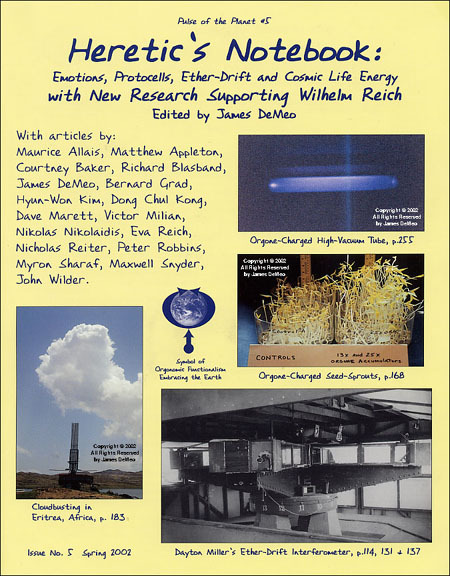 Several of my own papers are published there, which is something of a milestone, for experimental papers in orgone biophysics to be published in a mainstream journal of physical science, outside of the usual orgonomic publications. 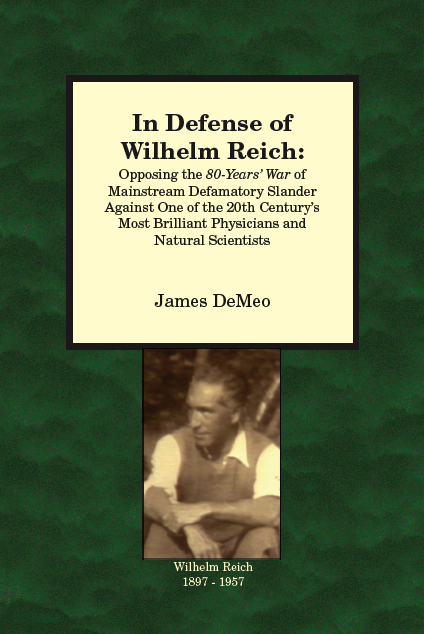 I will repeat a long-standing recommendation, that everyone should re-examine Wilhelm Reich’s authentic orgone energy discovery with fresh eyes, and have an orgone accumulator and blanket in their home for personal use and health benefits. 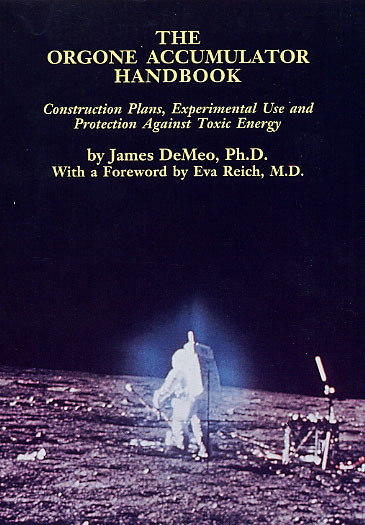 My Orgone Accumulator Handbook (see below) gives clear instructions on how to build them, and use them most effectively in the modern home environments of WiFi, cell phones, and other kinds of "electrosmog". And forget about all the slander, lies and total BS as comes from the "skeptics", AND from the junk pyramid-trinket promoters since more than 80 years now. The organized-medical and FDA schemers didn’t go after him and burn his books, throw him into prison to die, for nothing. Historically, this kind of deadly emotional reaction is reserved for true genius. By my experimental work and findings, water structure as documented through spectrographic methods, is a reaction to the intensity of charge of this one-same cosmic orgone "life-ether" energy, which can be concentrated inside the orgone accumulator. There may be a quantum theoretical aspect to it, as some have argued, but usage of that theory provides little in the way of practical approaches to the question, as is very possible through Reich’s approach. I had many productive and friendly arguments with the foremost European quantum theorist, water-researcher and Wilhelm Reich supporter, Dr. Emilio del Giudice on that question, prior to his death. Water is central to the mechanisms of orgone energy, as seen in both atmosphere and biology, and probably as well in geophysical and cosmic-galactic realms. By new astrophysical understandings, water may be the most abundant molecule in the universe, including within open space between the stars and galaxies – and for which an important question may be asked: What is the composition of the transparent blue haloes routinely photographed in true colors, surrounding large galaxies, such as M31 (Andromeda). For a short time, astrophysicists considered this blue halo to be a direct visible expression of “dark matter” – before withdrawing the idea as wholly contradictory to their preferred theories. The blue glow does appear to be a direct expression of cosmic orgone energy in an excited state, very much in keeping with my own recent discovery of a similar bluish glow as documented spectrographically in orgone-charged water samples. I will be presenting on this finding at the forthcoming Water Conference. For the USA only, checks made out to “OBRL” and mailed to the address below are actually preferred, as it saves us the 4% fees charged by the credit card companies. Contact me also for bank wire details, and please remember the Orgone Biophysical Research Laboratory, Inc., in your testament. Thank you, and I hope everyone gets to at least review the presentations at the forthcoming Water Conference by internet methods. Mark your calendars. I will send out another email after the Conference, once the videos are become available for viewing. At the Orgone Biophysical Research Lab (OBRL) we have been using various Mac computers to run data-acquisition software for various experiments. Some of them are getting pretty old and show early signs of failure. Parts and even repairs on such older machines are generally impossible. We’d like to upgrade everything, but costs are prohibitive for the full range of needs. Specifically we are seeking MacbookPro laptops, newer or older, even if not currently in fully working condition — we can repair or use for parts. But we will accept others that meet our needs. We know many people have older Macs sitting around unused. Send them to us and we will put them to work. Donors of computers can receive a letter from OBRL usable for an IRS-tax deduction, designating a dollar value for the donation. OBRL is a 501c3 non-profit science research and educational foundation. Alternatively, if you are able, a single larger cash donation would allow us to upgrade rather instantly with new equipment. Send us an email on what you have to donate, and we can go forward from there. 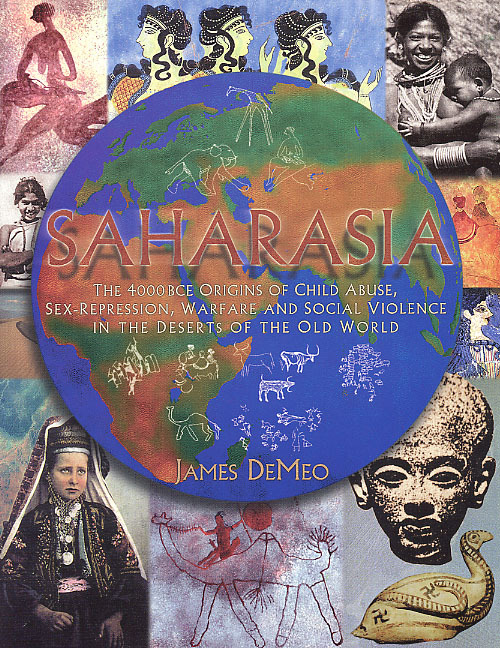 Donors will also receive an inscribed free copy of any of my books, as an appreciation. Can’t we talk about this? A good education, well worth the $5 fee.